What Is A Custom Guitar Shop? What do you know? 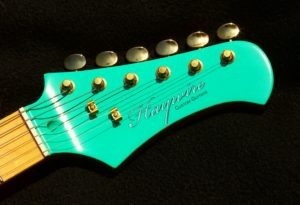 Home/Custom guitar shop, custom guitars, Guitar Education, Haywire Custom guitar shop/What Is A Custom Guitar Shop? That question always puzzles us. Why? Because our job as a Custom Guitar Shop is to simply make every guitar we sell play exactly how the player who buys it wants it to play! 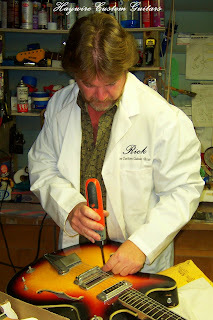 We are the experts as a result we can make any neck modifications, electronics changes, or custom changes that you like. Unfortunately, most guitar players are so accustomed to traveling from store to store looking for the right instrument. Rather than making the decision to create their perfect instrument at a custom guitar shop they travel. A custom guitar facility may be a smarter way to get what you need. We can take all of the attributes of all your favorite guitars and combine them into the guitar you’ve always dreamed of having. 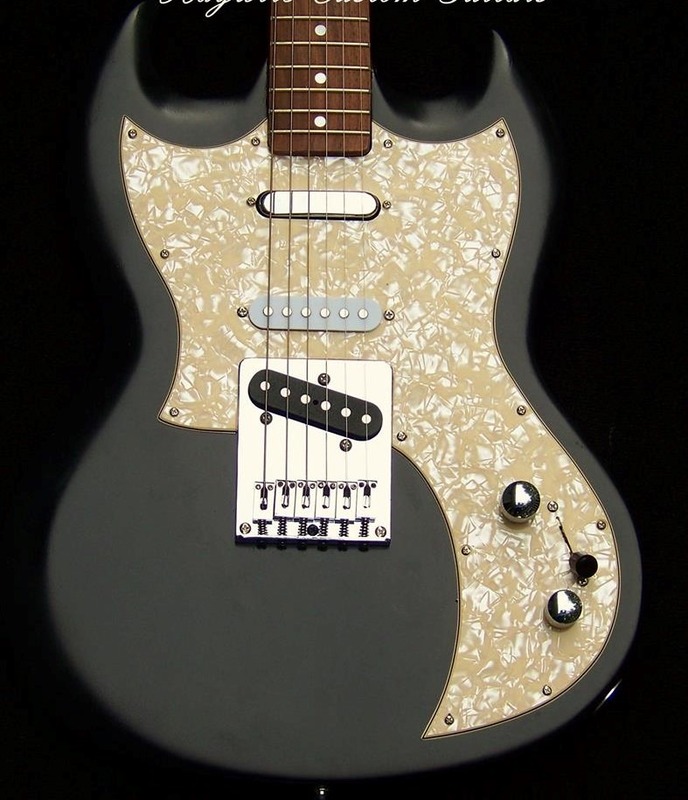 If you like a Gibson style neck, but prefer Custom Single Cutaway electronics, only with active pickups, we do it. 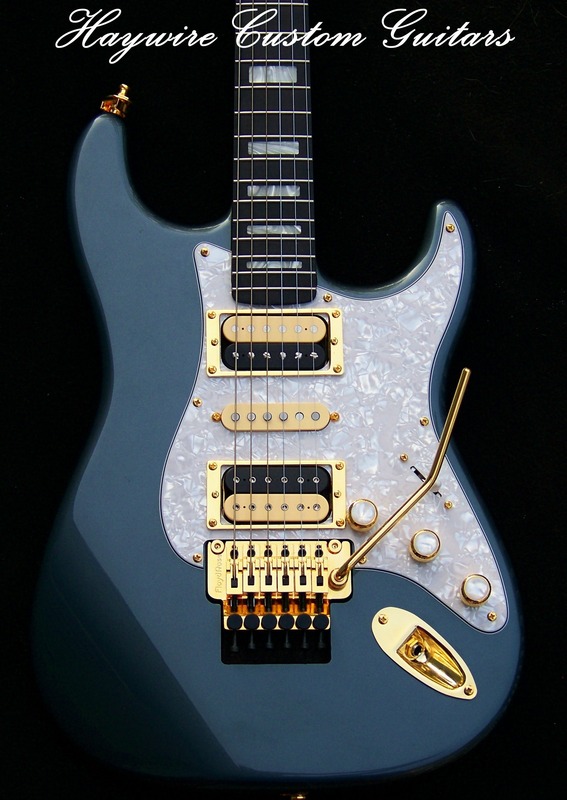 Would rather have a Stratocaster style body … it’s not a problem! On the other hand, if you see a guitar that you like in our shop, you know it’s going to be perfect. Before a guitar leaves our shop, it undergoes action adjustments, intonation checks and proper string adjustments. We make sure that you have a great playing guitar that plays EXACTLY how you need it to play comfortably as a guitarist. What could be simpler? Every guitar player is different and so are his/her hands. It is not a “one size fits all” world. Because of this there is no perfect guitar neck shape for everyone. Your neck profile should make it easy for you to comfortably reach all the frets. Bottom line: Neck profile and neck width can be important. So pay attention to what feels right for you so WE can get it right for you. Because ONLY YOU know what feels right for you, At Haywire Custom Shop our job is to have the right guitar matched up with the right hands. We’re,”musicians working for musicians”.